Zoonoses are infectious diseases of animals that can naturally be transmitted to humans. They consist of a wide range of diseases and range from endemic zoonoses such as brucellosis, anthrax, bovine tuberculosis, parasitic diseases (hydatid disease, echinococcosis, trichinellosis) and rabies to emerging zoonoses, such as highly pathogenic avian influenza, Nipah/Hendra disease and Bovine Spongiform Encephalopathy. The principles of traceability, hygiene and processes involved in the production, manufacture, storage and putting into circulation of animal feedstuffs, or foodstuffs of animal origin intended for human and/or animal consumption. Prescribe, administer and manage the use of vaccines, immune stimulants and suppressors and anti-sera. Apply operative manual and instrument specific techniques on an animal with the intention of modifying physiological status, and/or restoring normal organ or tissue function or structure. Perform gross examination of the animal corpse for the purpose of diagnosing the aetiology and pathophysiology of disease or death of animals and for the safety and quality of animal products entering the food chain. Supervise the handling and restraint of animals in connection with veterinary examination or other procedures. Prescribe and/or administer all kinds of medications, including fluid replacement therapy by all routes. This includes assessment of the safety and efficacy of a single medicine, and of combinations of medicines, for use in the animal, while ensuring neither compromising the owner, nor public health. Select, administer and monitor analgesics in animals. Prescribe physical methods for therapy in animals, such as modification of exercise, massage, heat treatment, electrical and other wave based treatments. 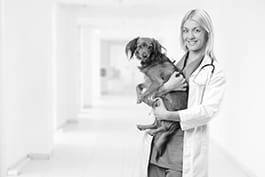 Conduct structured and empathetic communication with clients in order to ascertain or provide relevant clinical information concerning health status, treatment options or other ongoing care of the veterinary patient. Select, administer and monitor sedatives dispensed to animals for a medical intervention. Monitor animal health and welfare management and husbandry, and analyse risk factors in relation to animal health, disease and welfare status. Kill painlessly an animal suffering from an incurable and painful disease. Obtain specimens of an animal's body fluids, secretions, excretion or other tissues, in order to facilitate the diagnosis of health and disease. Provide veterinary information and insight, in cooperation with public health officials, with regard to zoonotic and infectious diseases, as well as to general animal care and welfare.